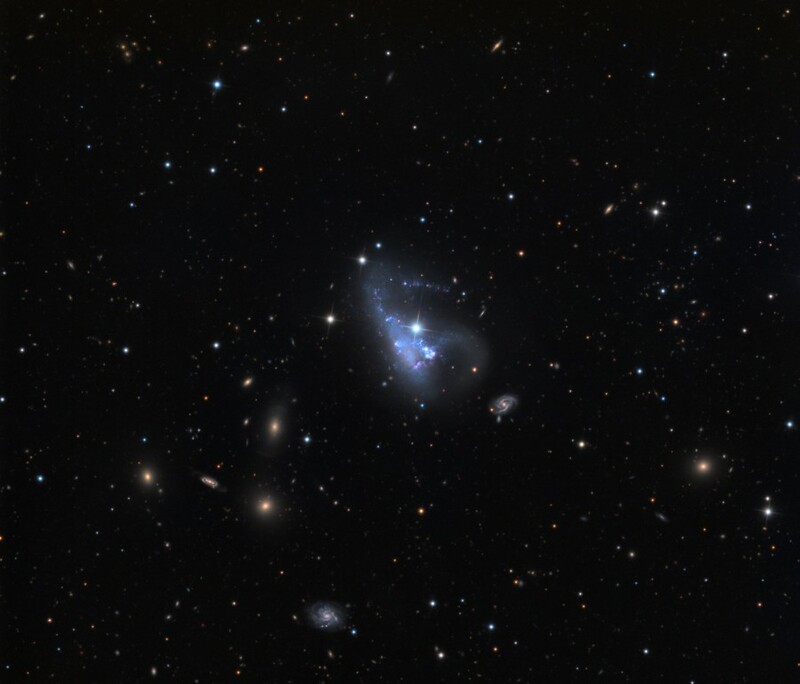 Explanation: About 40,000 light-years across, pretty, irregular galaxy NGC 3239 lies near the center of this lovely field of galaxies in the galaxy rich constellation Leo. 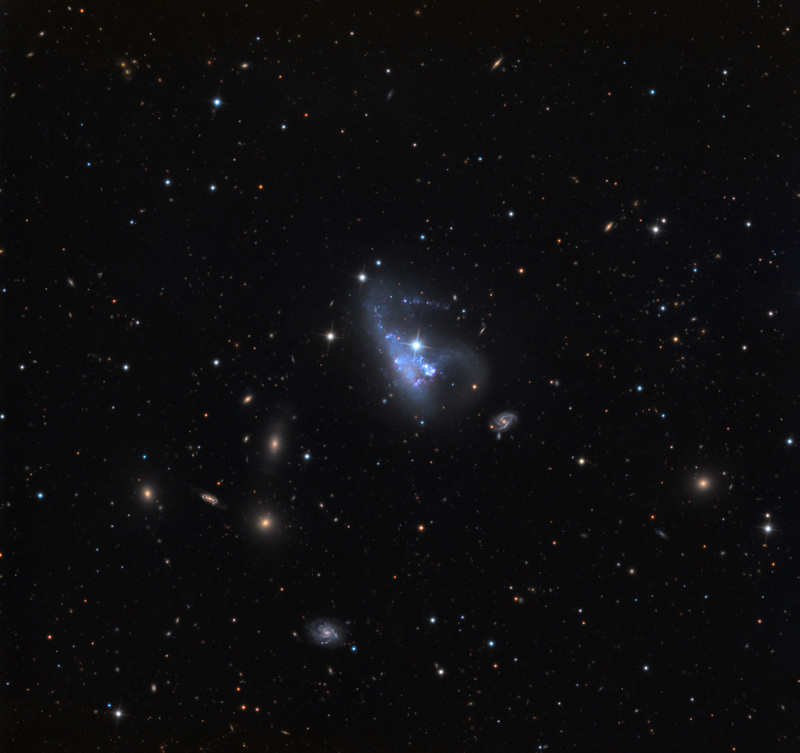 At a distance of only 25 million light-years it dominates the frame, sporting a peculiar arrangement of structures, young blue star clusters and star forming regions, suggesting that NGC 3239 (aka Arp 263) is the result of a galaxy merger. Appearing nearly on top of the pretty galaxy is a bright, spiky, foreground star, a nearby member of our own Milky Way galaxy almost directly along our line-of-sight to NGC 3239. Still, NGC 3239 is notable for hosting this year's first recognized supernova. Designated SN 2012A, it was discovered early this month by supernova hunters Bob Moore, Jack Newton, and Tim Puckett. Indicated in a cropped version of the wider image, SN 2012A is just below and right of the bright foreground star. Of course, based on the light-travel time to NGC 3239, the supernova explosion itself occurred 25 million years ago, triggered by the core collapse of a massive star.